This provider is not accepting online appointments currently. Call the doctor's office at (720) 506-9090 to book an appointment. At BodyMechanics Health and Performance, you can expect fast and accurate results from our specialized soft tissue repair and rehab as well as joint mobility and performance. We will get you back on track as fast as possible, ensuring that you won't miss a beat with the demands of your daily routine. If you are an athlete or live an active lifestyle and can't seem to get past some knee, hip, or shoulder trouble, come in and let's take a look at what is causing that repetitive problem. 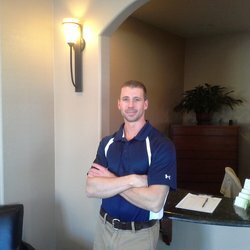 If you're behind the desk and computer all day like most of us and your back, shoulders and neck are staying tight and stiff, come in and let us get you back on track.